Snowflake Ski Club - Thanks for participating and making it a great season! The Snowflake Club - Instructs boys and girls ages 8 through 18 how to ski and snowboard. 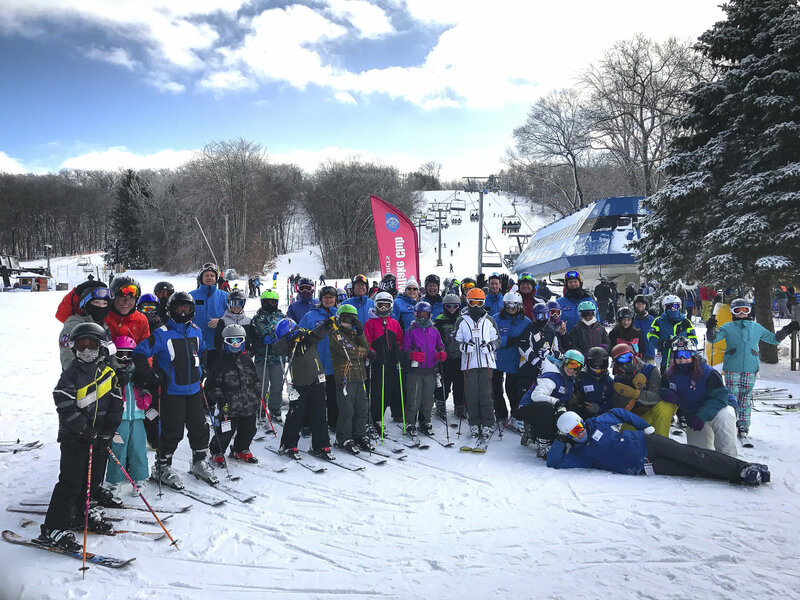 While our primary purpose is to provide a fun-filled and exciting day of skiing, we also place emphasis on members taking lessons. Our ski school is certified by the Professional Ski Instructors of America (PSIA), and we use their teaching models for our lessons. Find out even more detailed information about how we do things. Join the fun today! Purchase early and receive special discounts on membership and rentals @ Williams Ski and Patio. Pick from one of our many local trips this year. Purchase as many as you want now, or buy trip by trip. Registration deadlines are the Wednesday Night by Midnight before the upcoming trip.